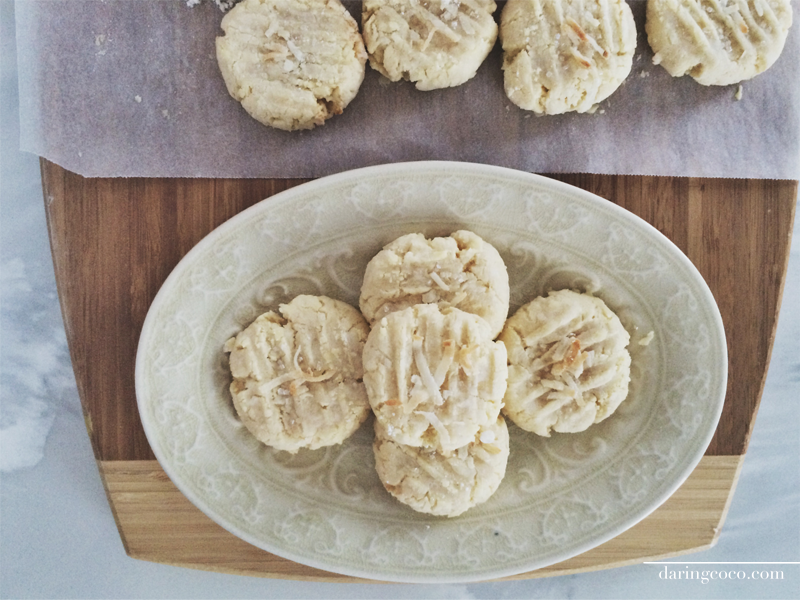 When I first glimpsed these coconut cookies over on Novelstyle, a blog by Ileana I knew I had to immediately pursue them. Mostly because they hinted at being fairly idiot-proof for an incident prone person such as myself but more importantly they looked pretty damn delectable. Now that is reason in itself. 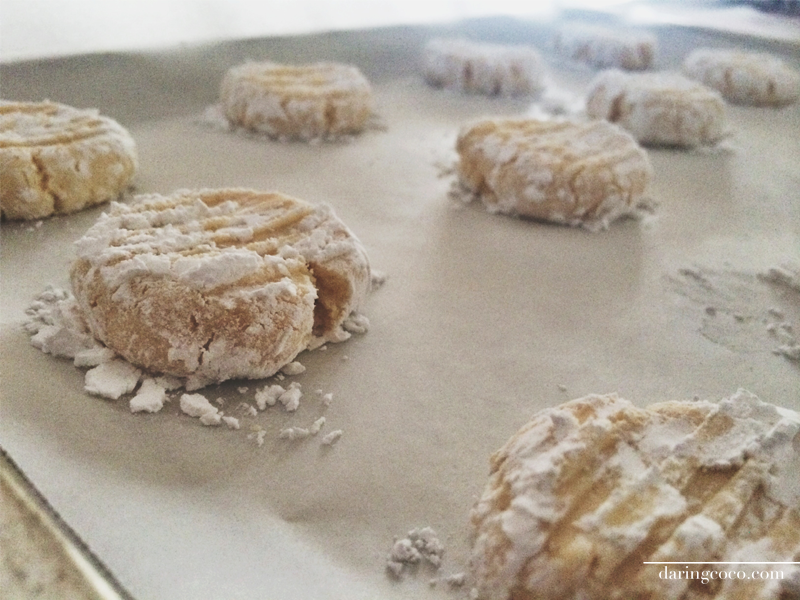 Now if your quite familiar with Novelstyle you would have noted that I flattened these coconut cookies, rather than shaping them into perfectly petite sized walnut pieces as she had. Truth be told, I didn’t exactly have the literal condiments needed that her original recipe called for. And since I wouldn’t allow a few stubborn shortages to deter me from preparing these, I improvised. The root of my problem happened to be some troublesome coconut pieces. 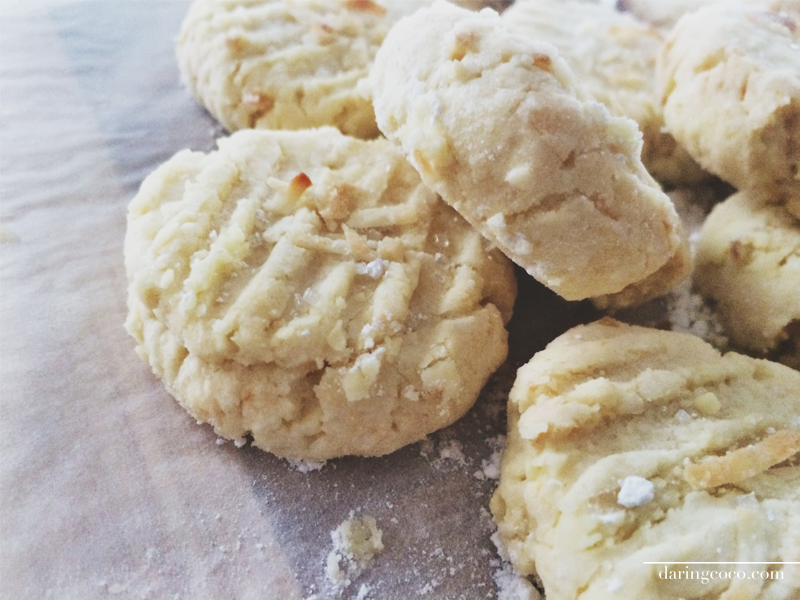 Turns out I just didn’t have enough of the desiccated stuff on hand for my coconut cookies. So I impulsively added some shredded coconut I found laying about in the pantry. I wasn’t too concerned though since I presumed some chunky pieces laced throughout would only serve to add blissful texture. Luckily for me the Kitchen Gods were in my favor this time. All of these changes could have proven disastrous, especially considering biscuits and the like are not my forte because I just don’t like getting my hands dirty, you know. Especially considering how that day I was attempting to be all “chef-y” and pretentious. I also added some decorative large sugar crystals and shredded coconut to their tops before cramming them into the oven with impatience. Fortunately those crystals ended up contributing towards a nice crunch. And the coconut, well the majority of them annoyingly went and got themselves burnt. Which was completely not my fault. But thankfully the subtle sweetness of the coconut within the biscuit itself dazzled, rendering those orange buggers palatably insignificant. 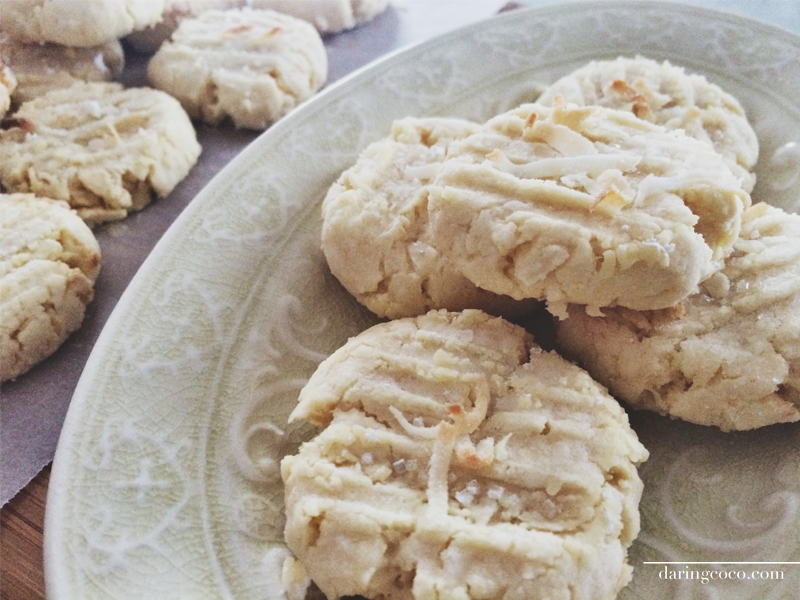 A big thank you to Ileana for sharing these coconut cookies with us. And if you’ve enjoyed visually devouring these make sure you go and view the original recipe here on Novelstyle.